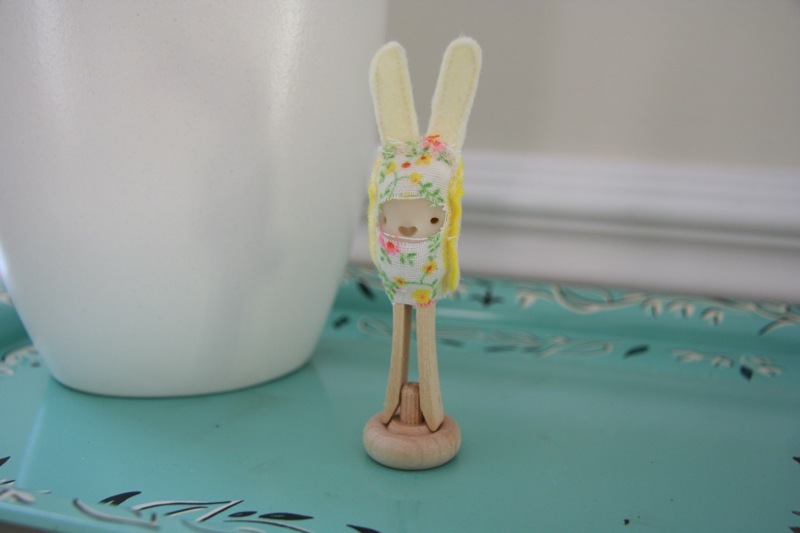 a clothespin peep bunny from sarah. yay! Oooh fun and cute! What a happy Monday! Hope your Tuesday is just as much fun! Lucky you! That bunny is VERY cute and I love the tray it’s siting on. 🙂 F. liked that one as well. thanks to you!! i agree, tray’s a keeper. loving that color. I’ve always been drawn to those old calendar dishtowels, but I’ve never bought any cause I wasn’t sure what I could do with them (aside from using them as a dishcloth) what do you use them for?